Our expert rotary head pressure washer is designed to clean any hard surface. Areas that we can clean include; Patios, Drive ways and Foot paths. Total lawn care offer a comprehensive grass cutting service for the larger lawn. We only use professional equipment, so we are reliable and also can offer a fantastic finish to large lawns. Surrey Total Lawn Care Ltd offer a unique lawn care package for domestic lawns. 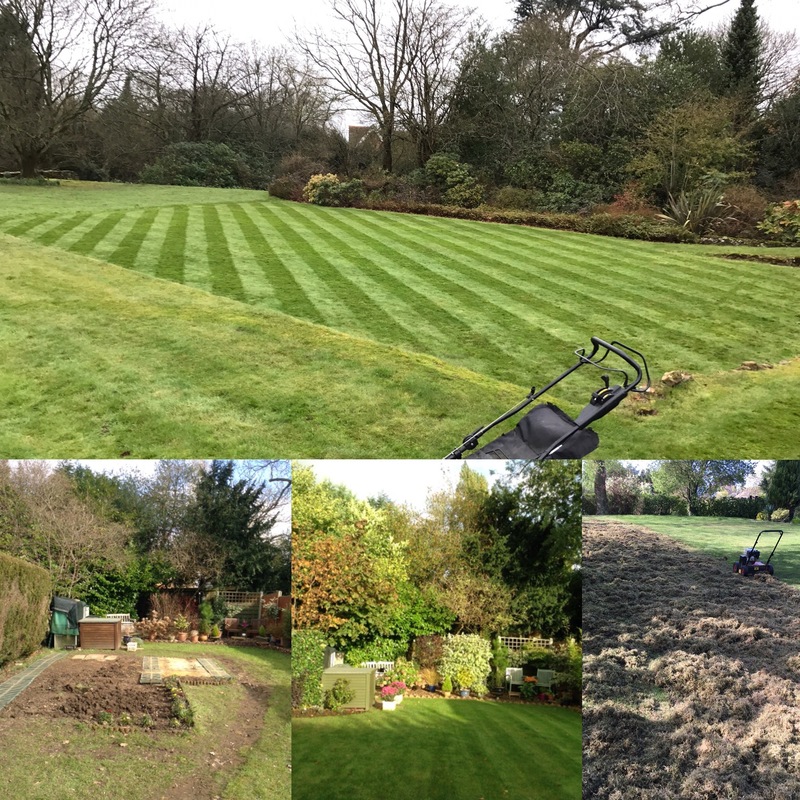 Based near to Guildford we are able to care for lawns to most of Surrey and West Sussex. Does Your Lawn Need – T.L.C ? We cover all areas of Surrey and West Sussex, including, Cranleigh, Abinger, Guildford, Camberley, Aldershot, Shalford, Dorking, Peaslake, Shere, Milford, Ewhurst, Godalming, Woking, Farnborough, Dunsfold, Alfold, Farnham and Leatherhead, and all the areas in between. If you are not located in any of these areas, please do still get in touch with us as we are an expanding business and looking for new opportunities. Lawn Care – Using our knowledge of the sports turf industry we have designed an annual lawn care package (5 step perfect lawn plan) around the needs of the domestic lawn, using professional equipment and high quality products to give your lawn the TLC that it needs, helping it to grow healthy and improve the aesthetic appearance of your lawn. The aim of lawn care is to promote good mowing practice and introduce good management of nutrients, air and water, to help create a healthy lawn. A healthy lawn will be able to fight disease and recover from pests much faster. This outlook is better for the environment and better for the customer. We like to build a good relationship with our customers, as lawn care requires both parties to work together to achieve the best results. 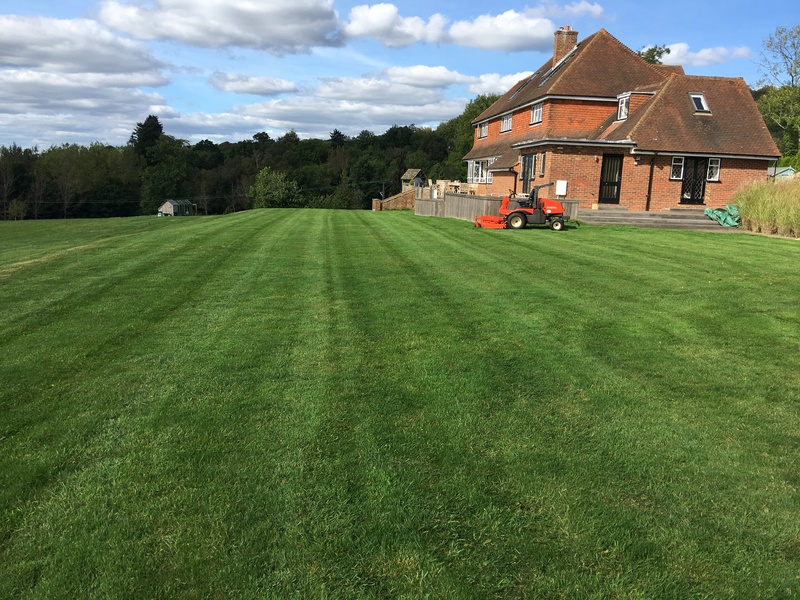 Grass Cutting – Total Lawn Care has a range of capabilities regarding grass cutting, anything from a small lawn that needs ‘a quick trim’ to large paddocks that require large machinery, we are able to help at either ends of the scale and anywhere in between. Our range of machinery includes push mowers, with and without rollers, John Deere residential ride on mowers and Kubota F3680s for the large paddock cutting or commercial clients. We are able to do one off grass cuts, or we run a weekly, fortnightly or monthly grass cutting service. 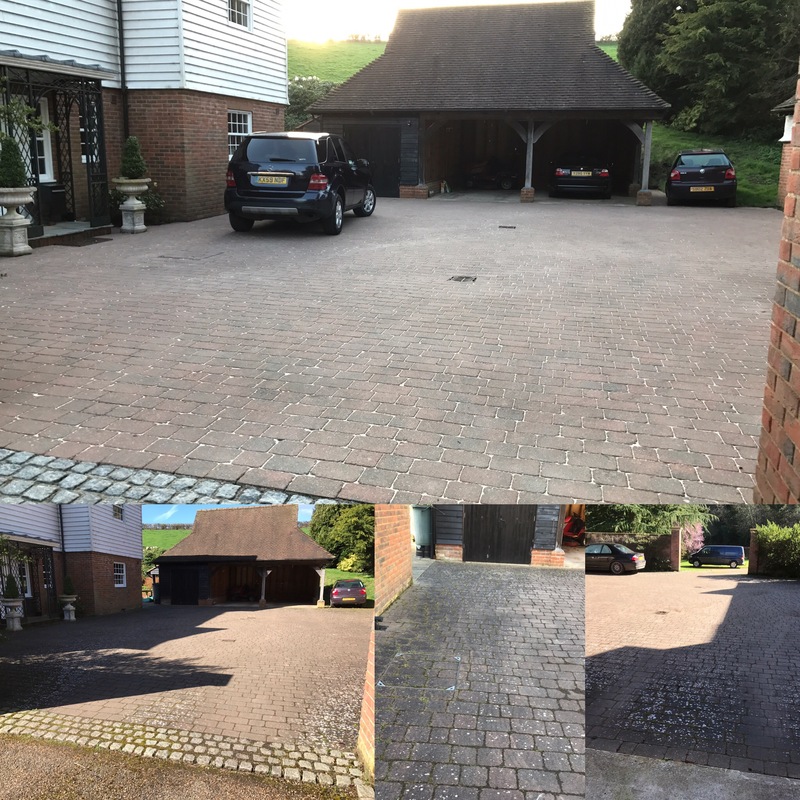 Patio & Driveway Cleaning – Total Surface Clean – Surrey Total Lawn Care Ltd has invested in professional Patio cleaning and Drive way cleaning equipment so that we can help you to keep your gardens hard surfaces clean and safe. Our expert rotary head pressure washer is designed to clean any hard surface. From patios and pool surrounds to large parking areas. We can even clean walls and fences and decking areas. Truly professional, independent lawn care. Follow us on social media, to see what we are up to.